About Space Careers, the leading space industry recruitment website. Space Careers is a free service to job hunters provided by Spacelinks, a consultancy firm dedicated to serving the needs of the professionals working in the space industry. Spacelinks is an independent multi-facetted consultancy specialising in the space markets. The services we provide include Executive Search & Selection Assignments (Head Hunting) in the Defence and Aerospace sectors. Spacelinks probably holds one of the largest independant database of space professionals in Europe. 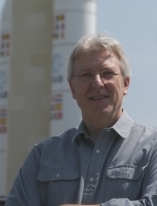 Spacelinks is headed by Pierre Oppetit. Pierre's own space career started over 35 years ago when he joined Intelsat's Spacecraft Program Office in Palo Alto, California as a test engineer. There he monitored and followed up the integration and tests (I&T) of the Intelsat V series of spacecraft at the Ford Aerospace (now Space Systems/Loral) plant. Four years later, he returned to his native France as the I&T manager for the Eurostar programme with Matra Marconi (now Airbus) in Toulouse. 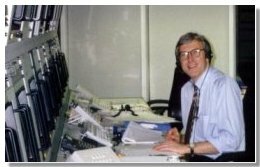 At the completion of the Eurostar test program, he moved on to satellite operations and developed the first Eurostar operating procedures. Pierre's next job was with Inmarsat in London, where he managed the Launch and Early Operations (LEOP) contract awarded by Inmarsat to the French Space Agency CNES to launch its second generation of spacecraft. For its third generation, Inmarsat decided to acquire the capability of launching its own spacecraft, and Pierre was chosen to lead that project. This culminated in five successful launches for which he acted as Mission Director. Pierre then embarked on a new challenge and managed the implementation of an intranet dedicated to the Inmarsat satellite operations. This intranet which provides on-line spacecraft documentation, flight operations procedures, flight dynamics data, scheduling information and live telemetry was a valuable operational tool at Inmarsat. Following this, Pierre combined his expertise on satellite launch and operations and internet experience working as a consultant, particularly for the aerospace industry. After 13 years in UK, Pierre went back to Toulouse where he was, until 2004, International Business Development Manager for the Space Sector of Capgemini. With our space business experience covering engineering, sales and programme management activities and with our in-depth knowledge of the space industry, at Spacelinks we can help you develop your space activities in Europe. We will be pleased to discuss your requirements with you at any time. We work with you in the way which best suits your needs and, whatever the business challenge or opportunity, we are confident that we will be able to help. Find out how by contacting Pierre at poppetit@gmail.com or poppetit@space-careers.com. Feel free to join Pierre's extensive network of space professionals on LinkedIn (18,000+ direct connections), on Xing and on Viadeo. This could prove of great value in fulfilling your business and career aspirations. Spacelinks is one of the founding members of the Aerospace Valley cluster of enterprises.